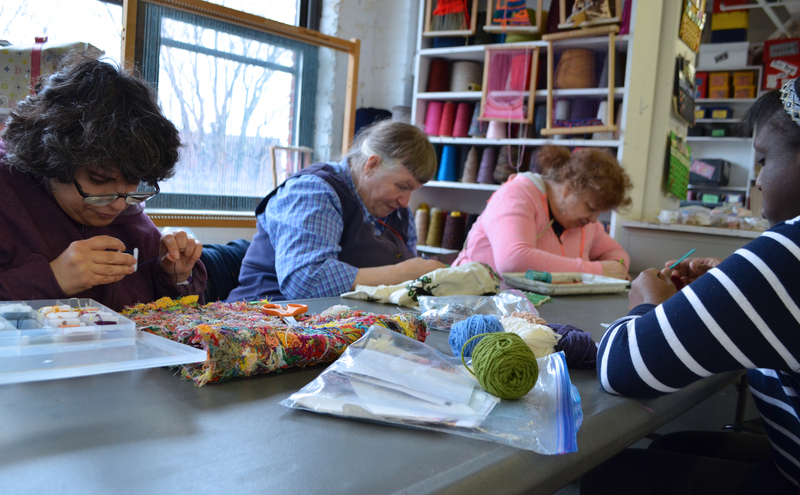 Gateway is dedicated to providing individualized, arts-based services to adults with disabilities, and supporting meaningful lives and careers in art. At Gateway Arts we know that no two artists are the same. Our program uniquely provides individualized arts-based services and professional career development for more than 100 adults with diverse diagnoses, strengths, and needs. All of our artists come to Gateway with an interest in or talent for fine art and hand crafts, and a distinctive narrative and perspective to share with the world. At Gateway, artists are encouraged to follow their dreams and create a unique career. They do so while learning new processes and developing skills with the encouragement and support of a highly trained staff of professional artists who serve as studio supervisors, case managers, and mentors. This is a place where you can develop skills, receive recognition, and do the work that you love. What we care about most is that each artist has told the story of their life through art, and that they feel a part of the society and the community that they live in. They feel part of the art world. And when you ask "What do you do for a living?" they say, "I'm an artist." An established leader in the field of arts-based services, Gateway Arts is continuously evolving and adapting to meet the diverse strengths and needs of emerging populations. 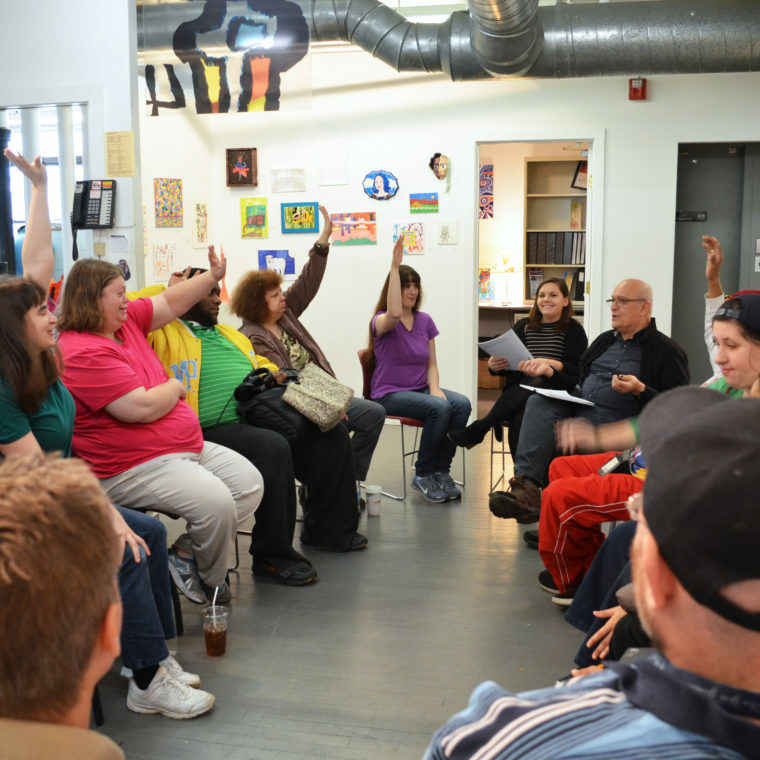 In response to a growing need for alternative arts-based services for individuals with psychiatric disabilities in the late 90’s, Gateway Arts acquired additional studio space and developed programming to serve and support the careers of a new group of artists. This addition made Gateway unique among studio art centers, serving a population with diverse diagnoses. With the emergence of increased Autism Spectrum Diagnoses, Gateway has again expanded services to include digital art mediums and studio accommodations to support each artist and their career pursuits individually. Gateway Arts is a service of Vinfen, New England’s most comprehensive provider of human services to individuals with disabilities.